Douglas Edgar Gates, age 76, passed away Sat., July 27, 2013, at United General Hospital in Sedro-Woolley after complications arose from dementia and Alzheimer disease. A passionate, stubborn man, Doug fought for what he believed in. He served the Town of Concrete as a Planning Commissioner from 2002 till his death, plus sat on the town’s Parks Committee and Historic Preservation and Landmarks Commission. 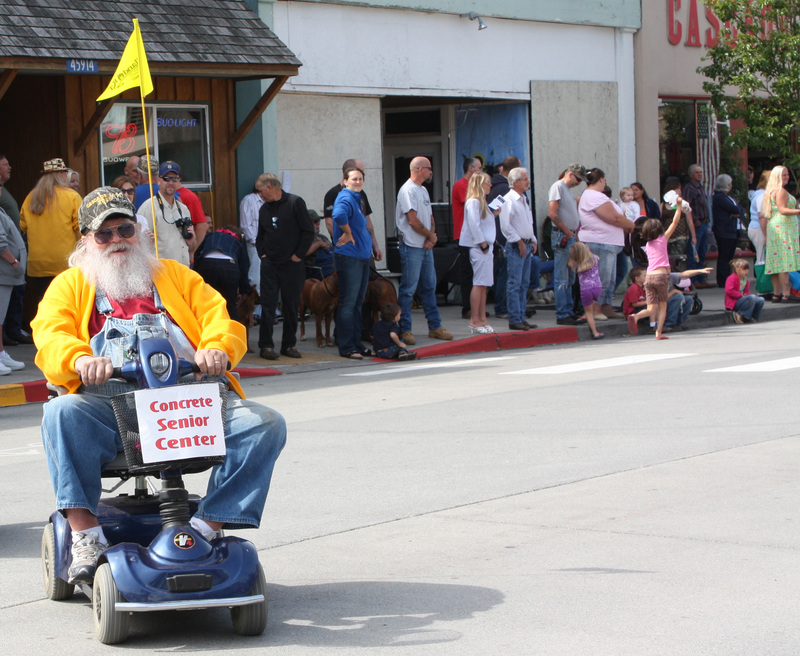 He also served with the Cascade Days Committee for several years and was a member of the Concrete Heritage Museum. He was a frequent participant in local parades, riding his scooter. He was a MacGyver wizard of electronics and gadgets. Doug was born May 18, 1937, in Burlington. He lived in Concrete till his junior year in high school, then moved to Issaquah, where he graduated from Issaquah High School in 1955. His was the first class to graduate from the current Concrete High School. He attended Prairie Bible Institute in Three Hills, Alberta, Canada, then moved to Nebraska, where he worked at a children’s home. There, he met Geneva Schultz, whom he married in January 1960. During his working years, Doug was the mechanic for a racing team that competed at venues along the I-5 corridor, including Skagit Speedway during its years as a dirt track. 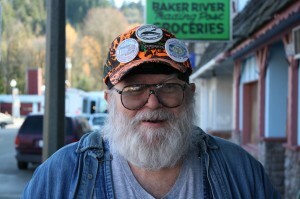 He also owned a gas station in Lynnwood, Wash., and drove a battery truck. He served as pastor in Lewis, Kan., and Roseau, Minn. In 1974, the family moved to Smoky Lake, Alberta, where he also served as a pastor. In 1976 the family moved to Three Hills, Alberta, where Doug worked as a truck driver. In 1981 he married Penny Wilkerson of Spokane and helped raise her two children. During his 27 years of driving a truck, he drove every major highway in the lower 48 states and never had an accident. In 2001 a stroke ended his truck-driving career, and he moved to Concrete. In 2005 he married Eva Royer, who was with him until his death. He is survived by his daughter Marla (Darrel) Reed, of Concrete; son Kurt Gates, of Spokane; stepson Daniel Martin of Spokane; stepdaughter Robin Butcher of Spokane; sisters Diane Caviezel of Enumclaw and Bertha (Bill) Bridge of Concrete; a grandson, Colton Butcher, of Spokane; and numerous nieces and nephews. He is preceded in death by his parents, Edgar and Virdelle Gates; two grandsons and other relatives. A celebration of life service and potluck is planned for Sun., Aug. 11 at 3 p.m., at Concrete Center, 45821 Railroad Ave., Concrete.